Budget-Planner.co.uk has been running since 2008. 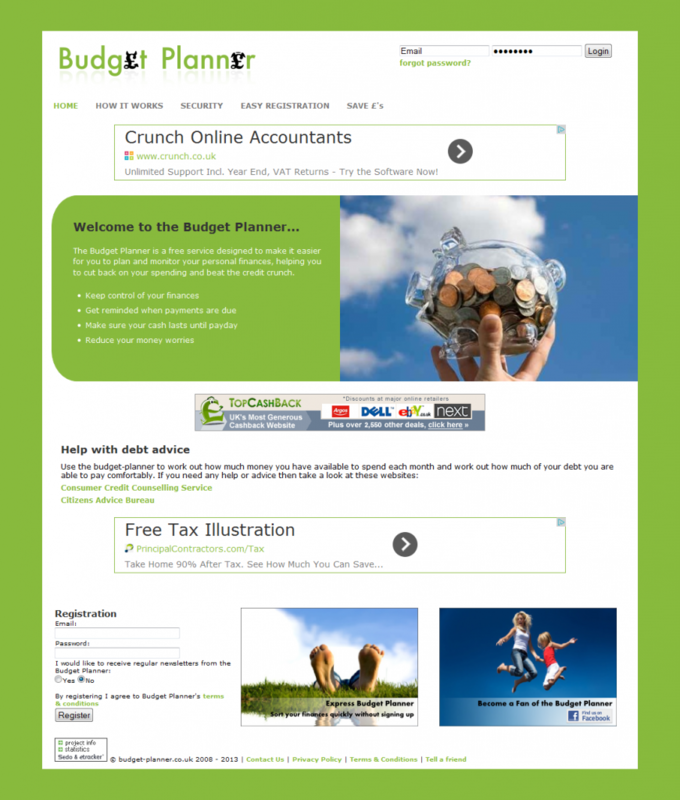 In this time the site has provided a budgeting tool and budgeting advice to 1000’s of users. The technology allows users to plan their finances and was conceived at the start of the recent financial crisis. By listing outgoings against income and recording monthly spends, users are better able to mange their money. The tool was originally built using ASP built will shortly be rebuilt using PHP and will feature more advanced tools to allow greater analysis of the users personal finances.